The Spring/Summer 2014 Haute Couture collection of Rami Al Ali, a Syrian designer with an eye for luxury, was presented in Paris last week. Having been introduced to the previous collection, I had no doubt the newest one would be breathtaking. 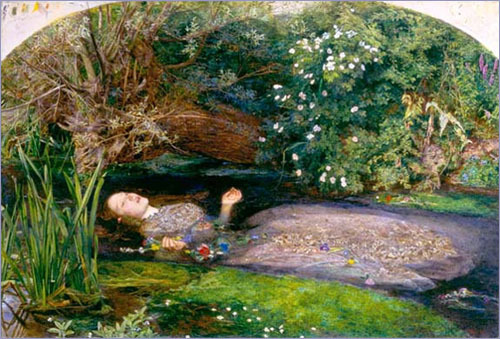 The collection has a central theme based on the painting Ophelia, by John Everett Millais. 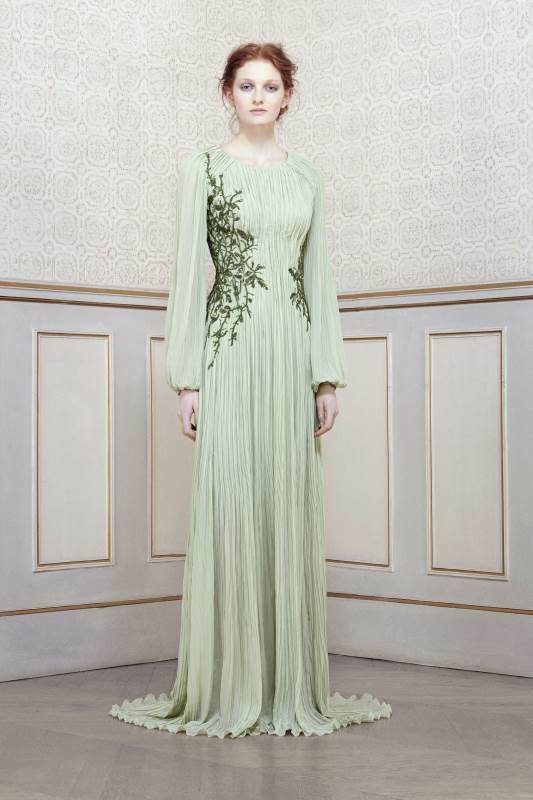 Consisting of long, elegant gowns in pastels, it is easy to point out details from the painting. Mimicking the twisted branches, dark water, and lightly shaded flowers, the inspiration is obvious. The red carpet ready dresses tell a tragically beautiful story, radiating emotions of love and loss. Hemlines gracefully kiss the ground, loosely hanging from the silhouette. Intricate embroidery and polished embellishments are actively present as always, evident signs of Al Ali’s work. The feminine elements and materials distinctively personify Ophelia, showing the audience 15 different sides to her that have never been seen before. Here are a few of my favorites from the collection.